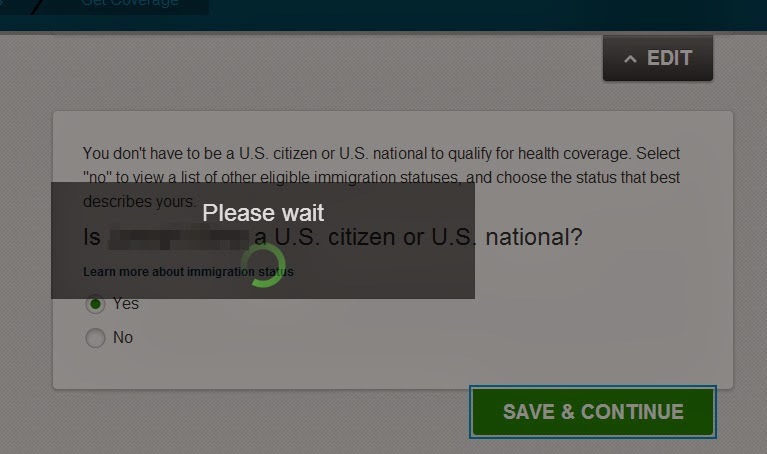 Healthcare.gov still says "Please wait": Is There A Problem Here? : Healthcare.gov still says "Please wait"
The Please wait message remained for about 10 minutes before I gave up waiting. I then exited and restarted the application process. I again got the seemingly infinite Please wait message at the same step in the application. Each time I resume this application, I get an infinite Please wait message. I still cannot complete this application. It seems I just need to continue to "Please wait" for CMS and QSSI to figure out how to create an online application that works. please wait on for almost 2 hours now. Health care is an important application you will want to consider. Thank you. Please wait screen.... in 2017.